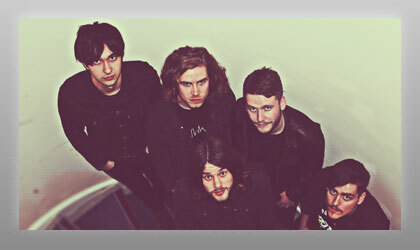 The Rah's are a talented Indie-Alt five-piece who draw their music inspirations from Jimi Hendrix to Arctic Monkeys, Foo Fighters to Royal Blood, The Beatles and The Rolling Stones. The band was originally founded seven years ago by Jack McLeod (vocals, guitar), Jordan McIntyre (lead guitar), Neale Gray (drums) and Andrew McLeod (bass) and last year, the Prestopans/Edinburgh, UK-based outfit saw the addition of Lee Brown (keyboards) to the lineup. The Rah's are known for their energetic rock style and incredibly moving live show, having supported and/or sharing the stage with The Fratellis, The View, The Rifles, Orchestral Maneuvers in the Dark (OMD), The Hoosiers, Chris Helme, Steve Diggle (Buzzcocks), Callum Beattie and many more.